Avner Mendelson is President & CEO of Bank Leumi USA. Avner was appointed to this role in 2013 with a mandate to orchestrate a major strategic transformation of the organization. With a new management team, a focused business strategy, expanded products and services offering, and a complete revamp of the firm’s core technology system, the Bank’s revenues have grown by more than 50%, and profits have more than quadrupled in the past 4 years. Most recently, Avner spearheaded a strategic investment in the Bank by Endicott Management Company and MSD Capital, L.P., a private investment firm that manages the assets of Michael Dell and his family, to assist in the Bank’s continued growth while adding value to the Leumi Group. 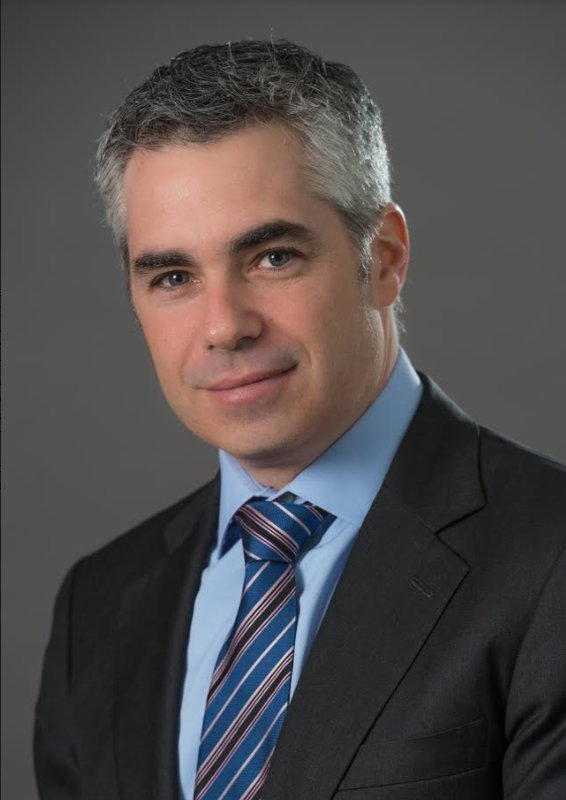 Avner has been with the Leumi Group since 2007, serving as Head of Group Strategy and International Operations, as well as Chief of Staff to the President and CEO. Prior to joining the Leumi Group, he was a Senior Consultant with McKinsey & Company in London. Avner also served in the Israeli Defense Forces. Avner earned his bachelor’s degree in economics and international relations from The Hebrew University of Jerusalem and his MBA from the Wharton School of Business. He is actively involved with several non-profit organizations and serves on both the Northeast Regional Board and the Board of Regents for the American Friends of The Hebrew University and the Board of Directors of the Shefa School. Dr. Mark A. Israel, a pediatric oncologist, translational scientist and a nationally recognized leader in cancer research, came to the Israel Cancer Research Fund (ICRF), in January 2018 as National Executive Director. Dr. Israel joins ICRF from the Geisel School of Medicine at Dartmouth College, where he is a professor in the Department of Pediatrics, Medicine, and Molecular and Systems Biology. From 2001 to 2016, Dr. Israel served as the Director of Dartmouth’s National Cancer Institute-designated Comprehensive Cancer Center, the Norris Cotton Cancer Center, where he was responsible for delivering comprehensive clinical care to more than 30,000 patients annually. Dr. Israel organized Dartmouth’s cancer research efforts with an annual budget in excess of $50 million and oversaw the cancer center’s development efforts, raising as much as $10 million annually. 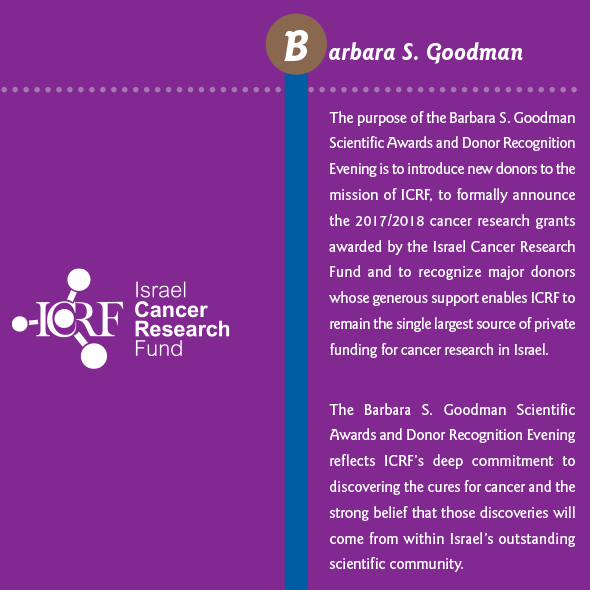 For the last 12 years, Dr. Israel has been a volunteer member of the ICRF’s Scientific Review Panel and the chair of the panel that evaluates translational cancer research proposals. 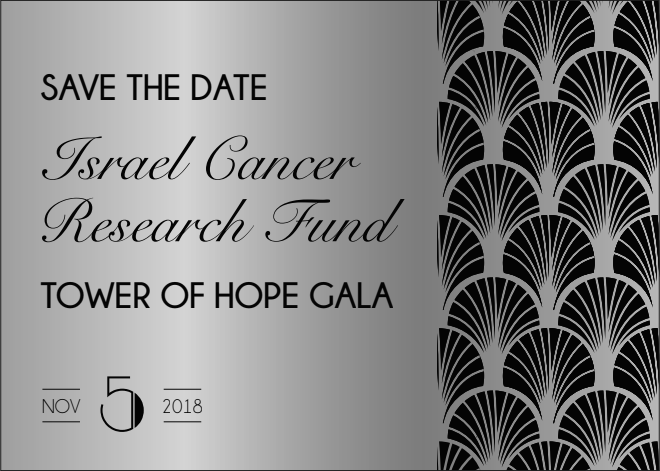 “Cancer research has never been more exciting or promising – and that is particularly true in Israel,” Dr. Israel noted on accepting this position. “Israeli science knows no bounds. ICRF provides a singular opportunity to help build more recognition and support for the world-class cancer research of Israeli scientists, and to arm and empower its finest practitioners with the resources necessary to change the world.” Before joining Dartmouth in 2001, Dr. Israel was Professor in the Departments of Neurological Surgery and Pediatrics at the University of California-San Francisco (UCSF) where he also directed the Preuss Laboratory of Molecular Neuro-Oncology. At UCSF, he held the Kathleen M. Plant Distinguished Professorship. Earlier in his career, Dr. Israel held several positions at the National Cancer Institute, including Head of the Molecular Genetics Section of the Pediatrics Branch. Dr. Israel has served on numerous boards, editorial boards, and advisory committees, including several U.S. National Cancer Institute-designated Comprehensive Cancer Center scientific advisory boards. He is the recipient of several awards and honors, including the C. Everett Koop Courage Award, the Farber Award from the American Association of Neurological Surgeons, the Heinz Karger Memorial Foundation Prize, and the U.S. Public Health Service Commendations Medal, among others. Dr. Israel is also an elected Fellow of the American Association for the Advancement of Science. He holds three patents and is author or co-author of hundreds of scholarly papers.
. Please scroll down or click here to view the invitation. The evening is generously underwritten by an anonymous donor. Annual Scientific Awards & Donor Recognition Evening. Take a formal tour or explore on your own. Framed around the key themes of money, density, diversity, and creativity, New York City’s history and future come alive in this first-of-its-kind exhibition, through the stories of innovation, energy, struggle, and the vision of generations of immigrants, politicians, tycoons, dreamers, master builders, and ordinary New Yorkers. Through almost 450 historic objects and images, many from the Museum’s rich collection, as well as contemporary video, photography, and interactive digital experiences, we welcome you to dive deep into the city’s past and create your own visions for its future. PORT CITY – In this introductory gallery, travel back to the time of Henry Hudson’s voyage into New York Harbor and follow the story of the city as it grew into the nation’s economic and cultural capital, on the shores of the Western Hemisphere’s busiest harbor. Learn about more than 200 key objects and images from this period, including a ceremonial club from the Native people of the area; a slice of a wooden pipe that formed the original water system of the city; and William M. “Boss” Tweed’s gold tiger-headed cane. Alongside these striking, one-of-a-kind artifacts, experience innovative interactive installations where you’ll “meet” New Yorkers of the past – from Henry Hudson and Alexander Hamilton to Chinatown pioneer Wong Chin Foo and anarchist Emma Goldman. Discover what has changed and what has stayed the same as you take in digital projections of historic New York streetscapes that fade into contemporary views of the same scenes, created by New York photographer Jeff Chien-Hsing Liao. WORLD CITY –In the exhibition’s second gallery, witness the dizzying evolution of New York as it grew into the modern global metropolis we know today. During the 20th century, cycles of financial growth and crisis continually reshaped the city’s economic, cultural, and social life, as did the influx of new waves of people from across the country and around the world. Steep challenges – extreme poverty and urban crowding, the Great Depression, the fiscal and urban crises of the postwar era, crumbling infrastructure and rising prices, and the terrorist attacks of 9/11 – tested and ultimately affirmed the creativity and resilience of the residents of a teeming metropolis that had become the most influential city in the world. Explore nearly 300 historic objects and images and a central video installation immersing visitors in the rhythms and dynamism of the 20th century city through vivid, overlapping moving pictures. At a touchscreen station, you’ll find the moving silhouettes of notable people who embody the exhibition’s themes of money, density, diversity and creativity, ranging from industrialist and philanthropist Andrew Carnegie to music entrepreneur Jay-Z. Making a Living: What can we do to provide economic opportunities for the next generation? Living Together: How can we foster a more inclusive city? Housing a Growing Population: How can we meet the housing needs of New Yorkers? Living with Nature: How can New York City enhance its natural environment and cope with climate change? Getting Around: How can we make it easier for people to get into and around the city? The Future City Lab gives you the opportunity to interact with these issues, to imagine the city’s future by designing a street, a building, and a park, and to discover ways of addressing the challenges, drawing ideas from cities around the world. Also on view are photographs by Joseph Michael Lopez, who depicts how the challenges we face are manifested in 20 different neighborhoods, short films that portray the lives of a wide range of New Yorkers, and a newly commissioned work by video artist Neil Goldberg featuring interviews with New Yorkers on their fears and hopes for the city’s future. The gallery is dedicated to the memory of curator Hilary Ballon (1956-2017). For more information on New York at its Core and its sponsors, please visit www.mcny.org/nyatitscore. An Evening with Prof. Israel Vlodavsky: "Inhibiting Cancer Metastasis:"
Join ICRF Visions for a 50 minute yoga class followed by refreshments. 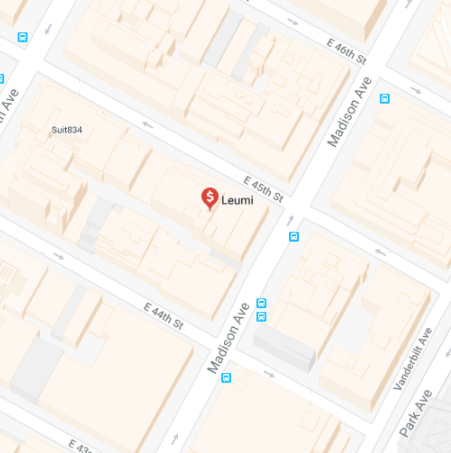 All ICRF Board Members, Staff and Chapter Leadership are invited from all ICRF cities worldwide to join us at the Grand Hyatt New York Hotel located between Park Avenue and 42nd Street. 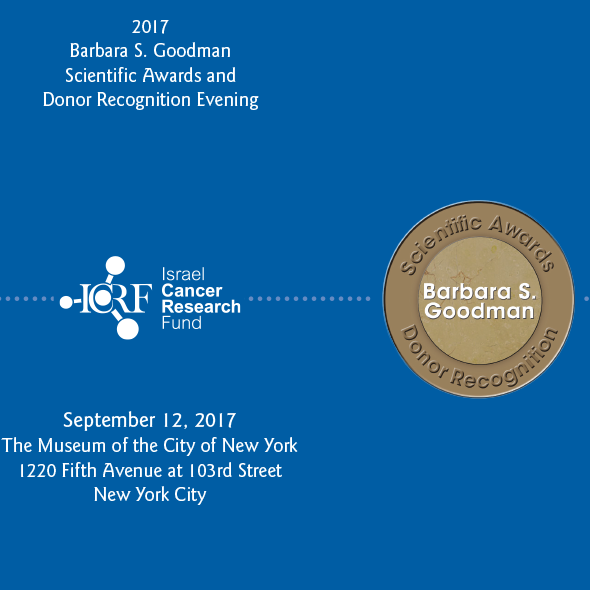 at 6:30PM to 8:30PM at the home of an ICRF Trustee in Manhattan. Come see how ICRF chooses which applications to fund. Please RSVP by March 1st by calling the ICRF National Office at 212-969-9800. There will be no solicitation of contributions at this event. ICRF observes the laws of Kashrut at its events. Meet and hear Dr. Carmit Levy, an eminent Israeli scientist from Tel Aviv University and a rising expert in melanoma, the most lethal form of skin cancer. Dr. Carmit Levy, a sabra of Yemenite heritage, is a graduate of Hebrew University and a former post-doctoral fellow at Harvard University. She studies the role of microRNAs in the development, differentiation and transformation of skin cells into malignant cancer cells. The goal of Dr. Levy’s research at the Sackler Faculty of Medicine of Tel Aviv University is to develop new approaches to prevent, diagnose, and treat skin cancer in general, particularly melanoma, which is responsible for approximately 80 percent of skin cancer deaths. ​ICRF is pleased to have this opportunity to introduce you to our work which has advanced cancer research and saved many thousands of lives world-wide. We are grateful to Michael Gordon and to Angelo, Gordon & Co. for hosting this event on our behalf. GET READY TO SPIN !!! When Israeli cyclist, Tom Peled, lost his father to stomach cancer, his grief led him to Europe where he rode solo for 3,000 miles. He dreamed of a campaign to honor his beloved father and to help find a cancer cure and called his endeavor “Bike for the Fight (BFF)”. Last Summer: Tom joined forces with the Israel Cancer Research Fund (ICRF), the largest U.S.-based charity solely devoted to supporting cancer research in Israel, rode 3,000 miles across the U.S., and raised $100,000! This Summer: Tom is riding from Toronto to Washington D.C., stopping in Englewood, NJ to lead a SPIN-A-THON fundraiser. Join Tom by registering for a bike, building a team with friends, and telling everyone that you know what you’re doing to help put an END TO CANCER NOW! who is leading "Bike for the Fight"
Enjoy drinks and snacks while you spin and listen to great music. Prizes for the top 3 fundraisers! This Summer: Tom is riding from Toronto to Washington D.C., stopping in Stamford, Connecticut to lead a SPIN-A-THON fundraiser. Enjoy drinks, snacks, as well as a gift bag for all participants while you spin and listen to great music. Prizes for the top 3 fundraisers!